Torkmag recently sent us some of their magazines to test and review. phalanges bumped that slide release. 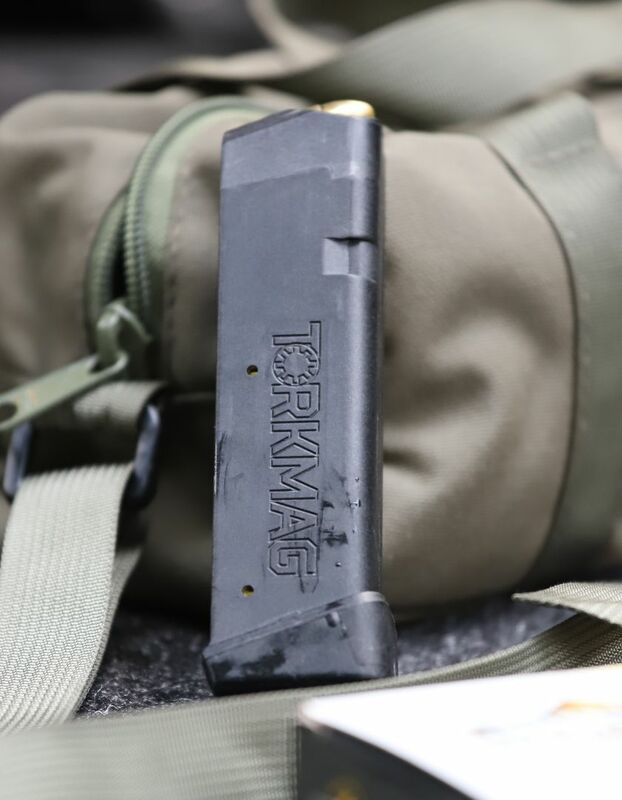 We tried this mag at the range in the G19x and the recently released G45, which is functionally and dimensionally extremely similar to the G19x. 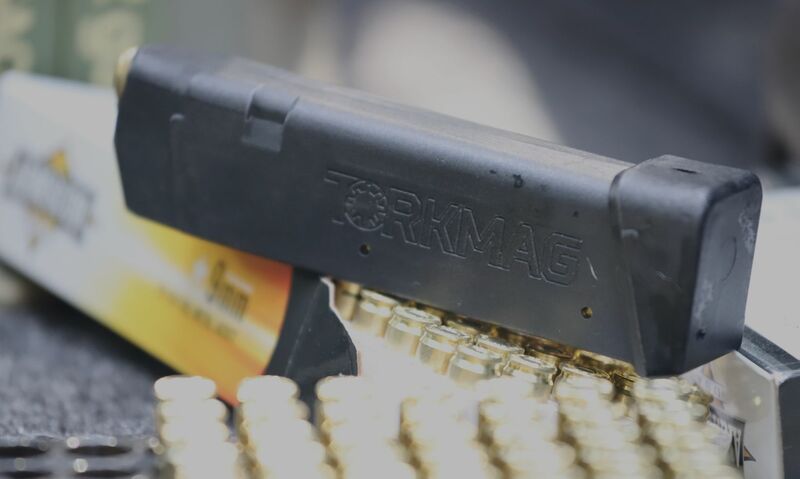 The TorkMag G17 magazine has a very reasonable price point of $19.95 MSRP. That means street pricing is likely to dip below that. We will continue to test the TorkMag for reliability. So far it seems like a great addition to your G17/G45/G19x gear at an impressive price point. Stay tuned for more on their AR magazines. They have a GI style mag that is just slightly larger than a GI or Magpul 30 round mag, but holds 35 rounds. They also make a 50 round mag that is quite a bit larger than a 30 round, but measures only about an inch larger than a 40 round AR mag. More on these in the future. 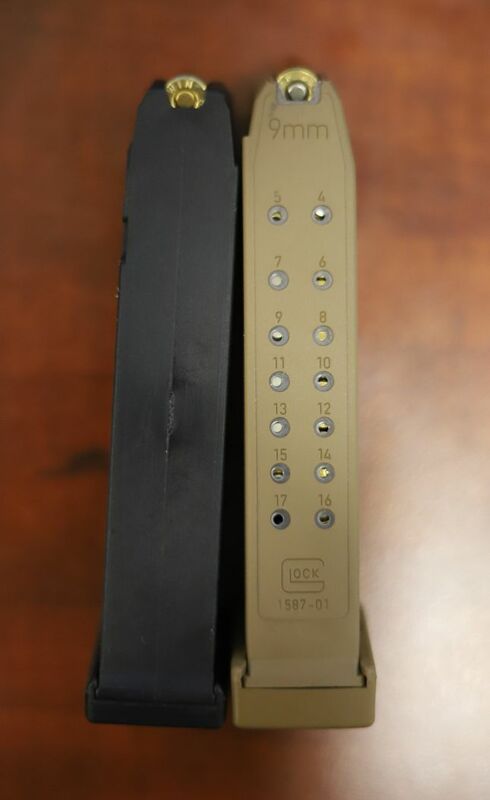 "I can report that the G17/G19x mag that they sent holds 20 rounds in the same physical dimensions as the factory Glock mag which holds 17" How? This magazine is the size of a 17rnd Glock magazine WITH a +2 extension. So it's the same physical dimensions as a 19rnd magazine. Need to open it up to see what the springs/plates/followers look like compared to Glock, Wolf, Asian...perhaps the follower ledge is the reason for hold open problem. Steel lined, c'mon on the cr@ppy review. For MSRP price, not competitive to Magpl, Korean, nor even OEM.